Struggling with UCAT preparation? In this post, we explain what abstract reasoning is and how to solve UCAT abstract reasoning problems. What is Abstract Reasoning in UCAT? The UCAT Abstract Reasoning section is fourth of the five subtests and tests your ability to identify patterns. You’ll be presented with a series of abstract shapes where you’ll need to identify patterns amongst other irrelevant material that may hinder your ability to answer correctly. 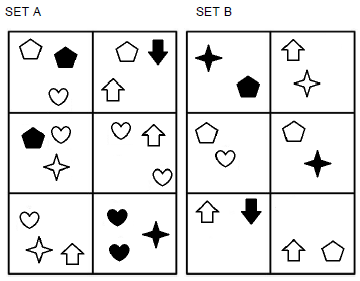 Why is Abstract Reasoning tested? When doctors, dentists, and/or medical professionals consider a diagnosis, they may have to work with a set of symptoms and results which range in their reliability and relevancy. Medical professionals need to make decisions and judgements by identifying and selecting information to reach conclusions. Conducting data driven research will also require the skill of identifying patterns and in their results to produce their hypotheses. 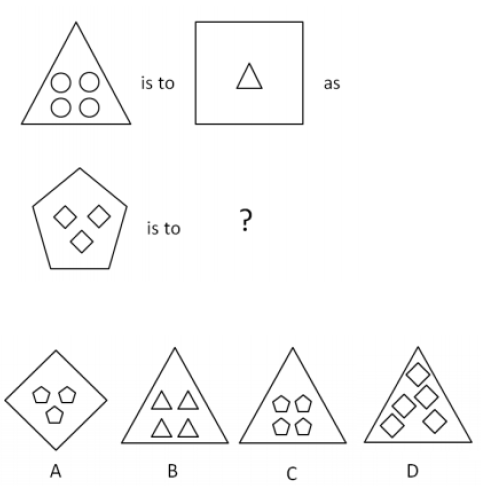 What is the format of the Abstract Reasoning subtest? 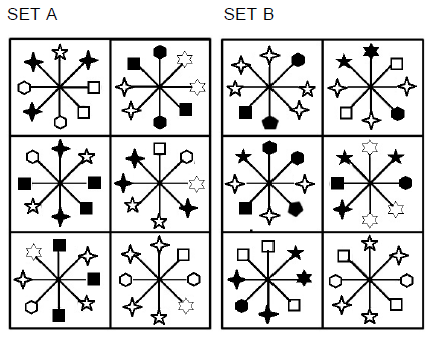 The Abstract Reasoning subtest consists of 55 questions which must be completed in 13 minutes. Questions will require you to find general rules that apply to shape sets. 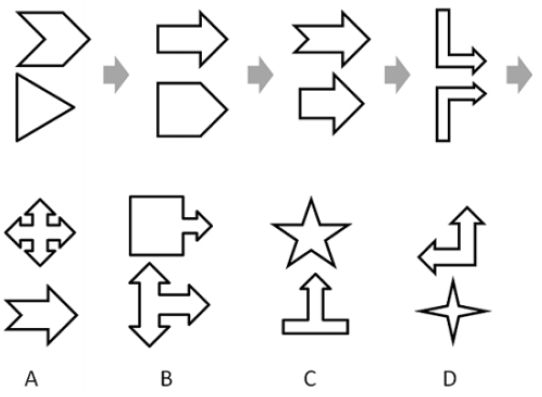 What are the types of Abstract Reasoning questions? In these type of questions you’ll be presented with two sets of shapes labelled either “Set A” and “Set B”. You’ll be shown a test shape and asked to decide whether the test shape belongs to Set A, Set B, or Neither. Which set does this belong to? The pattern is in Set A. There are always 3 shapes in Set A, whereas in Set B there are only 2 shapes present in every box. There is no other pattern present. Thus, A is correct. The pattern is in Set A. In Set A, there are always 3 shapes. Whereas, in Set B, there are only 2 shapes present in every box. There is no other pattern present. As there are 4 shapes present, this test shape doesn’t belong in either Set A or Set B. The pattern is in Set A. There are always 3 shapes in Set A. Whereas, in Set B, there are only 2 shapes present in every box. There is no other pattern present. The pattern is in Set A, there are always 3 shapes. Whereas, in Set B, there are only 2 shapes present in every box. There is no other pattern present. In these question types, you will be shown a series of shapes for which you’ll have to select the next sequential shape. What figure completes the series? The number of sides on the top shape increases by 1 each time. The number of sides on the bottom shape increases by 2 each time. Hence, the next shape will have 10 sides on the top and 11 at the bottom (C). These questions involve a statement with a group of shapes. You’ll need to select a shape that completes the statement. The number of shapes on the inside defines the number of sides of the outer shape. Hence, there are 3 shapes inside the pentagon so the outer shape is a triangle. In these questions, you’ll be shown two sets of shapes labelled either “Set A” and “Set B”. You’ll be asked to select one of four responses that belongs to either “Set A” and “Set B”. In Set A, if two identical shapes are present on opposite ends of a line, they are shaded, as well as all other instances of that shape. In Set B, if two identical shapes are present on opposite ends of a line, they are unshaded, as well as all other instances of that shape remain unshaded. All other shapes are shaded. on opposite ends of a line, they are unshaded, as well as all other instances of that shape remain unshaded. All other shapes are shaded.